OK... I know some (OK... Many!) will say I am insane for what I am about to do. But tonight I will be starting a new little marathon. In one way it is not much of a marathon since it is only 5 movies. I (and I am sure many others will be) am... to say it nicely.... unsure if I will be able to make it through all 5 movies. As starting tonight I will be attempting to get through the entire Twilight Saga. Being a lover of the Vampire lore can be painful at times. I actually did sit through the first movie... and while there definitely was aspects I hated in it... I was able to enjoy what horror story there was to this movie. So I was able to "tolerate" the rest. Now we are about to see if can tolerate the entire saga! Wish me luck! God have mercy on my soul! Watching this film the first thing I notice is it takes too long to get to the horror aspects ofthe film. I know that horror is not the primary focus of these films but it makes ita little harder for someone like me to get through it. There was some things I liked about the movie... and some things I didn't. 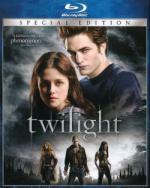 I really enjoyed the side story of the killings and the protection of Bella. Even though it is only slight... it put a horror aspect into the show for me. I absolutely hated the aspect of how they changed the effects of sunlight on vampires, though that did explain away how they could be out in the day time. I did kind of like the fact that there could be good and bad vampires... just like in the human race. I didn't care much for the narration of Bella's in portions of the movie. The idea of the narration wasn't bad.... but the flowery romance novel like writing of it put me off. But this show still didn't impress me a whole lot. I really can't see where this whole Twilight-mania is coming from. But then again... I guess I am really not the target audience either. This one focuses more on the werewolves then the vampires for the first half of the movie... creating a love triangle for Bella. I tell you one thing.. watching this one movie... I seen enough shirtless guys to last a lifetime... had to wonder if some of those guys even owned a shirt. I say turnabout is fair play... how about one with almost constant shirtless girls! LOL. IT ALL BEGINS... WITH A CHOICE. 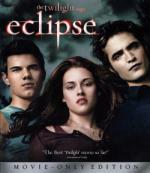 In the third chapter of Stephenie Meyer's phenomenal Twilight series, Bella Swan is surrounded by danger as Seattle is hit by a string of murders and an evil vampire continues her quest for revenge. In the midst of it all, Bella is forced to choose between her love, Edward Cullen, and her friend, Jacob Black — knowing that her decision may ignite the ageless struggle between vampire and werewolf. I am actually surprised to say that I enjoyed this one a little more then the previous one. I would say it is just about as good as the first one. Granted that still not saying a whole lot. But while this one continues on with the teen angst and romance... it also brings back some good action/horror elements. I personally really enjoy the series .. it grows in strength as the series progresses. The author tried some new things (shiny skin) and some people don't like it .. and these were not meant to be a horror story but a love story surpassing some new challenges. But they are what they are .. it is like SciFi .. reading Heinlein is always great fun but it isn't Arthur C Clarke if you get my drift. 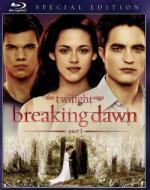 This one concentrates more on the romance then the horror elements so it is not my favoite in the saga. But with an ending like this one... it is not the worst either. I found myself having to push myself to make it through the first 2/3rds of the film... but on that last third it really grabbed my attention. 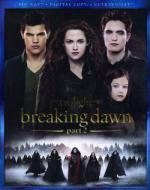 To the point that I am almost looking forward to the final film in the saga. In the final chapter of The Twilight Saga phenomenon, the birth of Bella and Edward's child brings conflict between Bella and her lifelong friend Jacob, and an all-out war between the Cullens and the Volturi. OK... the end of the saga. AndI must say... I was able to enjoy this one. It is as good as the first one... if not a little better. I liked where the story went. I liked the big battle sequence. This film focuses a little more on the supernatural side of things which is a plus for me. But don't worry those that like the romance side of the movies.... that is here as well. It is a good ending to the saga if you can make your way to it.